Location: Puget Sound off Shilshole. 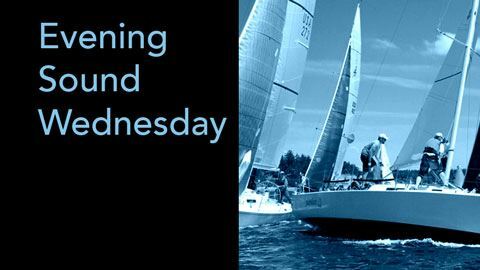 Classes: PHRF-NW, IRC/ORC, Farr 30, J/105, Melges 24, J/80, and other keelboat classes with at least five boats may apply. Sailing Instructions (pdf) Updated 4/12/18. See notice of changes. Courses will typically be windward / leeward and may include gates, offsets, and gybe marks. A target of at least two and up to four races may be sailed each day with a typical race duration of 20 to 60 minutes. A boat's series score will be the total of her race scores, except that a boat's worst score will be excluded if six or more races are completed. This changes RRS A2.1. One race will constitute a series. 90 minutes for the first boat in class and for other boats 30 minutes after the first boat that sails the course. Notice of Race amended by CYC Notice of Race Addendum. Eligibility: CYC Adult/Family, Senior, Honorary Life, and Junior members. Prospective members may race in these series for up to 12 months. 1st, 2nd, and 3rd in class for each series. Monday before the start of each series.